A new poll published by YouGov make[s] grim reading for May. In June, 53% of people said they thought she was competent. That is now down 11 points to 42%. The number of people who think she is incompetent is up from 32% to 41%. That includes 15% of Tory supporters and 26% of Leave voters. The number of people who think she is indecisive has risen from 50% to 52%. Among Tory voters, a huge 39% have that view. 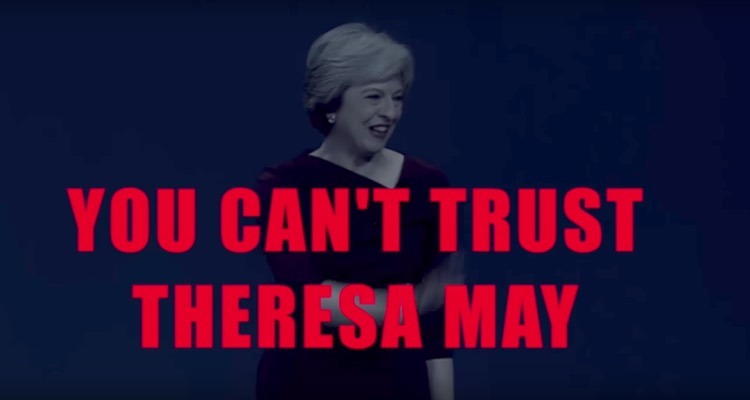 In June, a majority (52%) of voters said May was trustworthy, while just 31% said she was untrustworthy. There has been a huge reversal in this measure over the last 3 months and now 44% find her untrustworthy, compared 35% who trust her. There is a big age gap on this measure, with people under 50 most likely not to trust her. After disproving her own “strong and stable” slogan during the general election, 52% of voters now view her as weak compared to just 28% who see her as strong. That compares to 46% and 33% respectively in June. Despite the hard Brexit line she has adopted, more Leave voters see her as strong than week – by 40% to 39%. There has been a marked 8 point swing in the wrong direction for her in terms of likability since June. 46% of people dislike her now compared with 40% then and 30% like her compared with 32% then. A huge 71% of 18-24 year olds dislike her. Only among the over 65s does she have a positive rating on this measure. “Among Tory voters, a huge 39% have that view”. Buyers regret? Untrustworthy – that’s because she is thoroughly dishonest. It’s as simple as that.